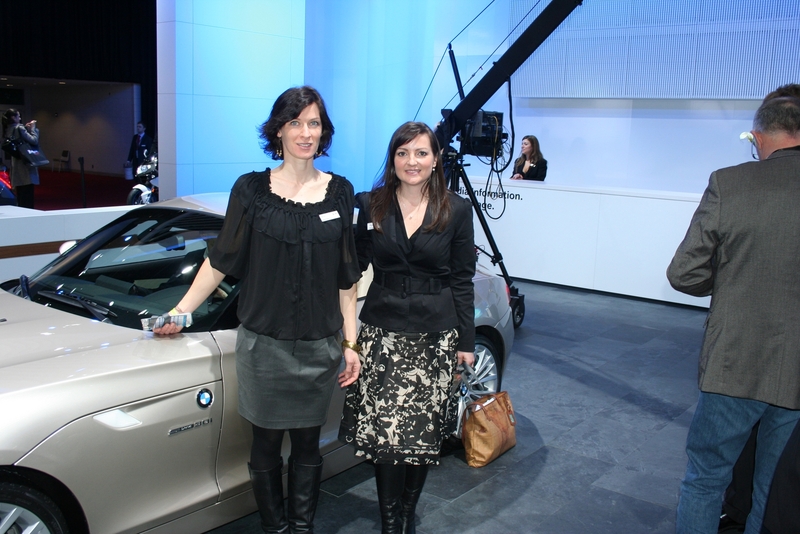 Back in January, Detroit Auto Show had the honor to host the world premiere of the new 2009 BMW Z4 roadster. What many people, including journalists did not know back then, was that the new Z4 is the first BMW designed by two females, Ms. Juliane Blasi, Exterior Designer and Ms. Nadya Arnaout, Interior Designer. Since we participated at the official launch, we can tell you the surprise that many journalists encountered when they found out who the two ladies entertaining the people around the car really were. Being the huge BMW addicts that we are, of course, we knew them months in advance, especially after watching them on camera talking with passion about their “baby”. We even engaged in a less formal discussion with the two of them, looking to find out more information about the new Z4. New York Times took also the time to interview them and to clarify this once and for all: did the new Z4 get a feminine look? Mr. van Hooydonk would listen politely, tell them they were exactly right, and offer to introduce them to the designers. Then he would bring out the women most responsible for the car’s masculine swagger: Juliane Blasi, 32, the exterior designer, and Nadya Arnaout, 37, who did the interior. No one was more surprised by the outcome than the two German women: Ms. Blasi because it was the first full-size clay model she had done since she was hired at the Munich studio in 2003, and Ms. Arnaout because she had just switched to interior auto design at DesignworksUSA. Previously, as a product designer since 2000 at the California studio — which also does designs under contract for other companies — she had worked on things like vacuum cleaners and sports equipment.